Session types provide a static guarantee that concurrent programs respect communication protocols. 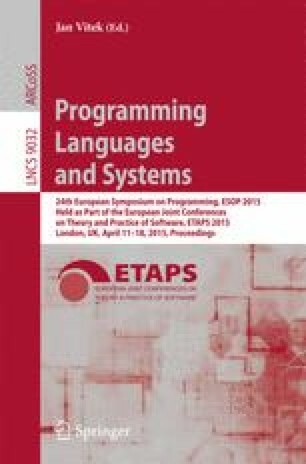 Recently, Caires, Pfenning, and Toninho, and Wadler, have developed a correspondence between propositions of linear logic and session typed π-calculus processes. We relate the cut-elimination semantics of this approach to an operational semantics for session-typed concurrency in a functional language. We begin by presenting a variant of Wadler’s session-typed core functional language, GV. We give a small-step operational semantics for GV. We develop a suitable notion of deadlock, based on existing approaches for capturing deadlock in π-calculus, and show that all well-typed GV programs are deadlock-free, deterministic, and terminating. We relate GV to linear logic by giving translations between GV and CP, a process calculus with a type system and semantics based on classical linear logic. We prove that both directions of our translation preserve reduction; previous translations from GV to CP, in contrast, failed to preserve β-reduction. Furthermore, to demonstrate the modularity of our approach, we define two extensions of GV which preserve deadlock-freedom, determinism, and termination.